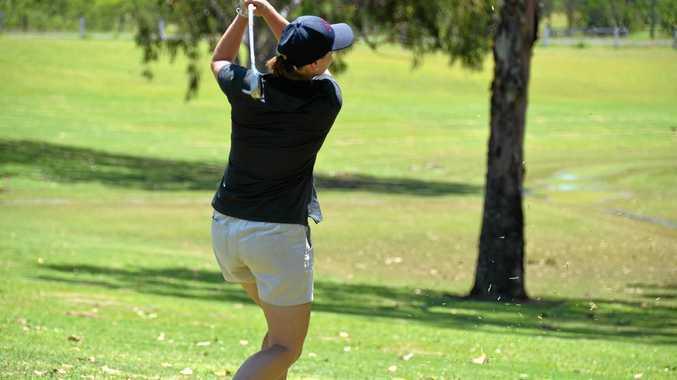 THIS Saturday, November 10, a ladies day will take place at Gayndah Golf Club. The event will tee off at 9.30am. There will be nine holes of golf followed by lunch and bubbles. The event will cost $20 a player, including lunch. This is for all levels of golfing ability. Bring a friend and a sense of humour for a great ladies-only day on the course. On Sunday, November 11, there will be a nine-hole cross country event at the course that will tee off at 2.30pm. The inaugural Vanderfield two-ball ambrose took place at the club on Saturday, November 3, with 24 players taking part. The winners of the event were Kirk Jolly and Johnny Edwards with 55 3/4 net. Runners-up were Steve Jameson and Alex Evans on 56 net. The ladies' pinshot was awarded to Bev Emmerton 1/10. Accurate pinshots went to Alex Evans on 1/10. Second on 5/14 Johnny Edwards, second on 7/16 Steve Jameson and second on 9/18 Jeremy Zahl. The Money Hole went to Jeremy Zahl. David Zipf won Sunday's Monthly Medal Final with 73/65. He was also the A grade Monthly Medal winner. Craig Postle, 70 nett, won the B Grade, and Paul Carlyon, 68, the C Grade. Ball winners were Paul Carlyon 68, Craig Postle 70, and Garnie Keune 70. Len Weier won the Bradmans trophy. Pin Shots went to David Zipf on 5, and Wally Benham on 9. Lyn Carlyon won the Ladies competition with 71 nett, and also the 1st Grade Monthly Medal Final. Gayle Bennett, 77, was the 2nd Grade winner. Lorraine Lindenmayer was the Ball winner while Daphne Williams won the Bradmans. Lyn Carlyon won both the accurate shot on 5 and the 2nd shot to 9. Next week's competition is a shoot-out.